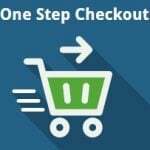 One of the essential functions ecommerce merchants strive for providing to their customers is the possibility to log in using social media accounts. Unfortunately, the default Magento platform doesn’t offer such functionality, so, if you want to leverage the social login feature, you need to install a reliable third-party solution. Meet the Amasty Social Login for Magento 2 – a brand new module designed to improve your customers’ shopping experience and streamline registration process on your web store. 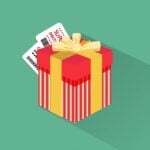 With the Magento 2 extension, you will drastically increase customer retention and motivate visitors to shop on your website by offering more flexibility in the login process. Besides, store owners get a chance to collect vital data about their clients for further analysis. In this review, we describe the main features and benefits of Magento 2 Social Login by Amasty. Management of linked accounts in the customer profile. To provide your website visitors with a login or registration in one click, you can add an AJAX popup to your store pages using the Magento 2 Social Login module. 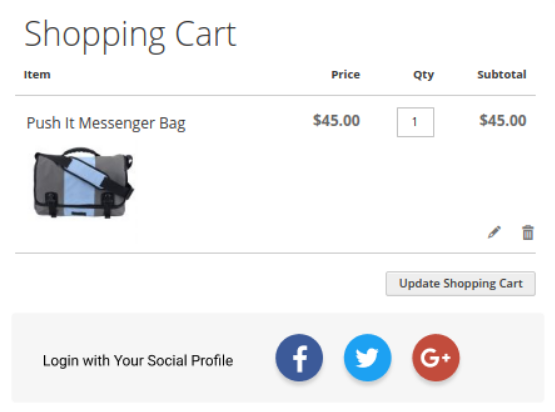 Besides login and registration pages, customers can quickly sign in using their social accounts on the shopping cart page or during checkout. 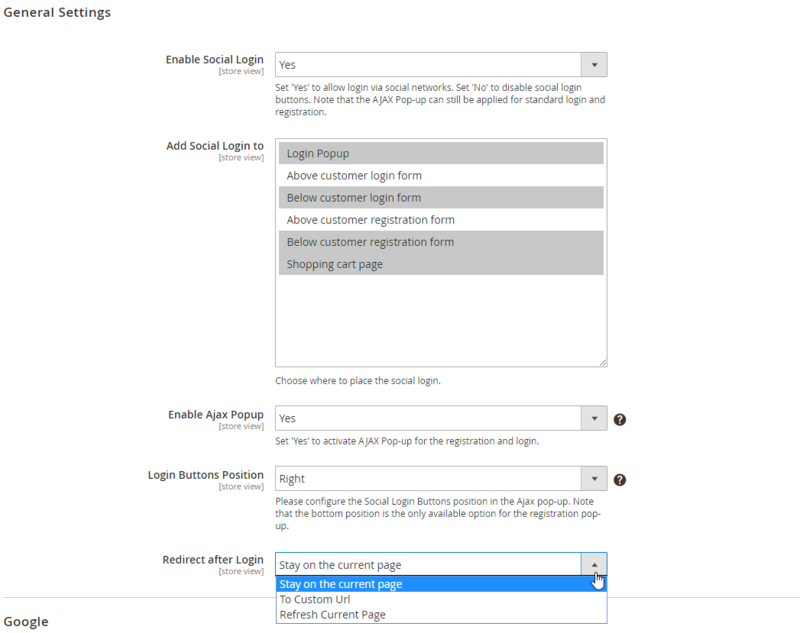 Note that Social Login is compatible with Amasty One Step Checkout. Also, you decide where to place the social login bar: below, above, or in the header of a page. To improve the user experience on your storefront, you can allow visitors to log in to your website by just clicking a social button. The Magento 2 module support six popular social networks including Google, Facebook, Twitter, Instagram, LinkedIn, and Amazon, providing users with a choice of most convenient sign-up options. It is possible to customize colors and style of login buttons to make them fit your website design. The Social Login plugin helps you collect correct and complete customer data and avoid spammers’ accounts due to the Google Invisible reCAPTCHA function. Note that appearance and type of reCaptcha can be changed in the backend. As for collecting customer data, store owners get access to their clients’ personal information essential for creating a more precise marketing strategy. 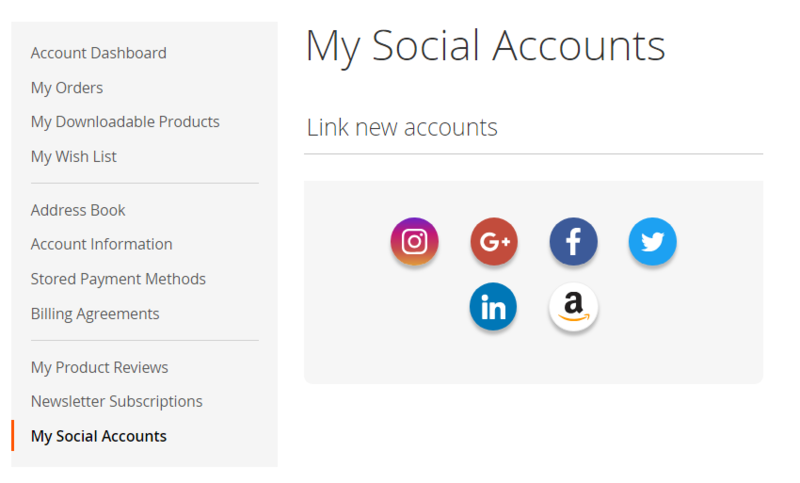 By installing Social Login for Magento 2, you get access to the handy dashboard with statistical data on the usage of social login buttons with a percentage ratio for each network. This way, you can understand which social media networks are the most popular with your customers and use this data for preparing your social media campaigns. Also, the collected details help to segment clients into customer groups based on various criteria like gender, age, country, education, profession, and others. 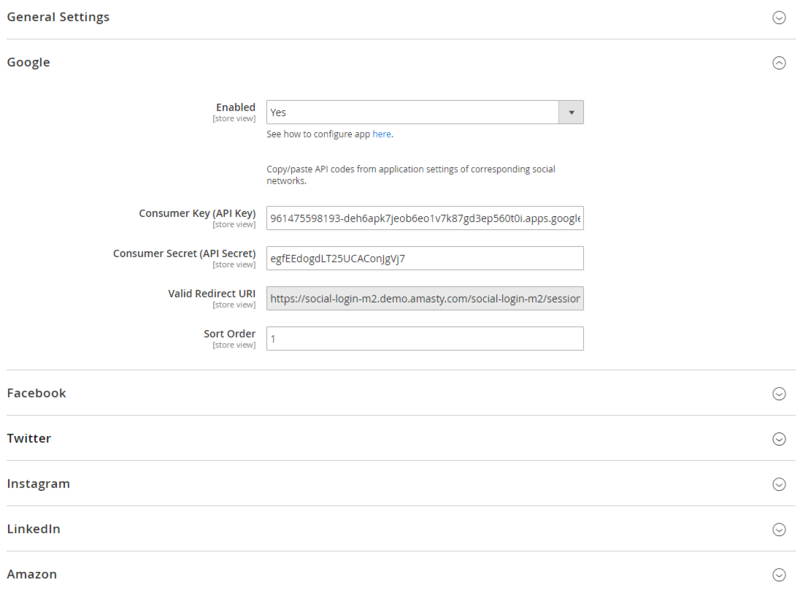 First, let’s see how to configure the main settings of the Magento 2 Social Login extension. In the General Settings tab, first, enable the social login button functionality to show social login buttons on your storefront and decide where to place them: in the login popup; above/below customer login form; above/below customer registration form; on the shopping cart page. Next, you can enable Ajax popup for registration and login and define the position of social buttons in the popup: top, bottom, right, or left. Here, it is also possible to set the redirect to a custom URL after a customer logs in or choose to refresh the current page or stay on the current page. Then, you should configure the options for each social network separately. 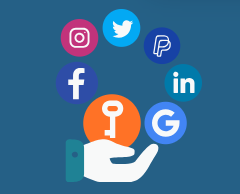 As we’ve mentioned above, the Social Login module supports social buttons for Google, Facebook, Twitter, Instagram, LinkedIn, and Amazon. The settings are the same for each social media network: enable the appropriate social login button, insert your API Key (Client ID) and API Secret (Client Secret), as well as a URL for redirects in the relevant fields, and set the sort order. As for the analytics dashboard, it provides you with the visual elements helping to quickly identify the most popular social network. 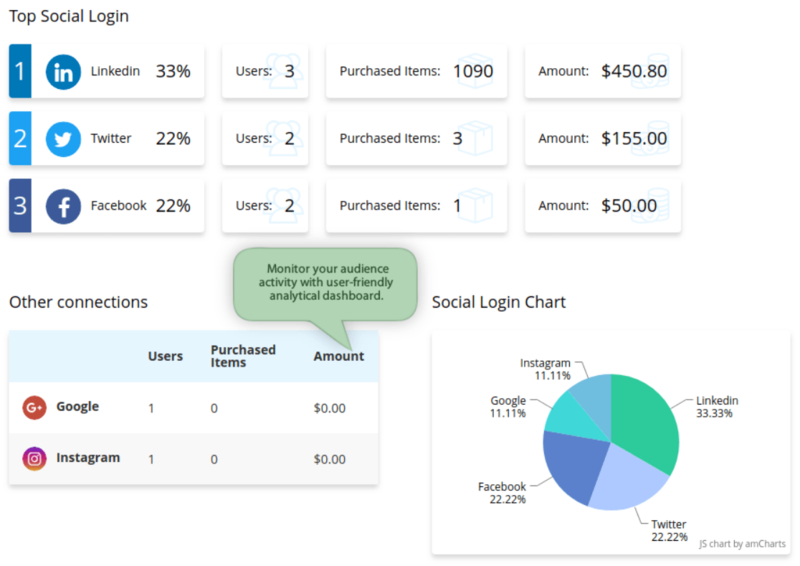 For each available social media, you can see the percentage, number of users, qty of purchased items, and spent amount in the table at the top of the screen. Below, there is also a handy chart displaying the ratio of usage for each network, as well as details on users activity with other accounts. The customer account area also gets a new tab – My Social Accounts. Here, customers can link new social media profiles and delete unnecessary one. The Amasty Social Login extension for Magento 2 adds missing functionality to the default platform and improves customer experience on an online shop by allowing shoppers to use their social media accounts for rapid registration and authorization. 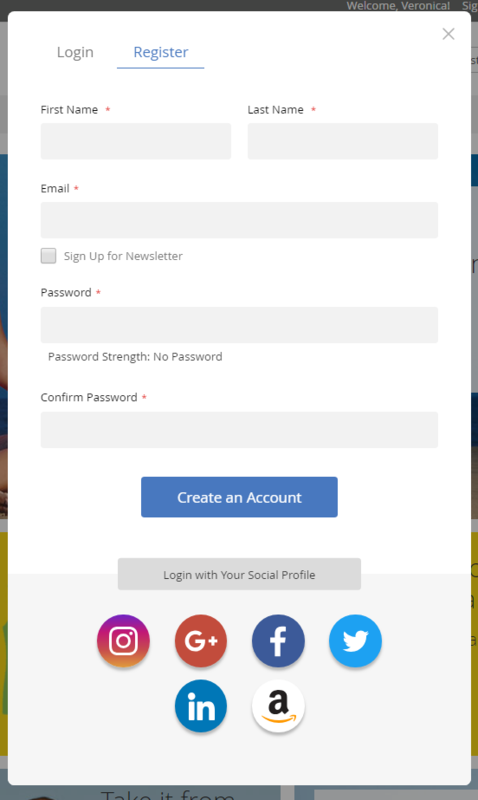 Social login option saves your customers’ time on the sign-up process, which increases trust to your store, involves more clients in making purchases, and improves retention and engagement rates. Besides, you get vital information for analyzing your customers and developing your marketing strategy.